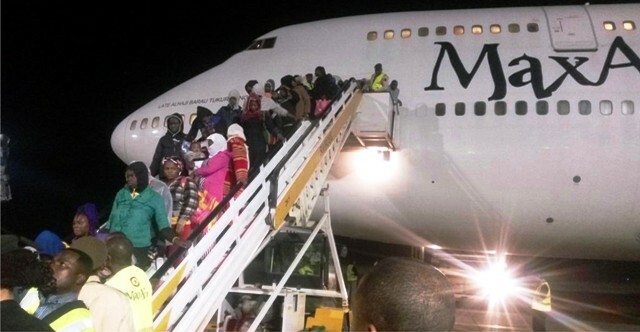 Libyan returnees on arrival at the Port Harcourt International Airport, Omagwa, recently. An elder stateman in the Niger Delta and former Dean of Faculty of Environmental Sciences at the Rivers State University, Prof. Tekena Fubara has expressed disappointment and worries over the continuous delay in completion of the domestic arrival terminal building at the Port Harcourt International Airport, Omagwa. 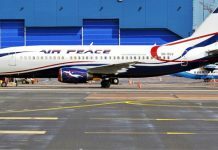 The former University Don who expressed his feelings on the matter while speaking to aviation correspondents at the Port Harcourt airport, shortly on arrival from Abuja, Tuesday said the issue of variation of contract could not let the former administration of Goodluck Jonathan Finish the work. According to him, the issue of variation of the contract is still being pointed at as reason for the continuous delay in the completion of the project. 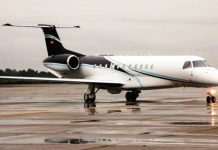 “This airport is the major and viable airport, as far as the Niger Delta is concerned, but I can not understand why this project is still not finished up till now, while other airports whose contracts were awarded the same time with the Port Harcourt airport had all been completed. “Resources from the Niger Delta are being used to develop other places, even Abuja that was like a jungle is now well developed, but the Niger Delta is left out. “I have said it before and I repeat it again, let the projects in the Port Harcourt airport be completed, and this airport should be named after Late Harold Dappa-Biriye for his contributions in the Niger Delta, he said. Fubara while explaining the contributions of Dapa-Biriye to the region, posited that he was the voice of the region, who ensured that the Willink Commission on the rights of the minority is protected. He said that the late elder statesman was a strong voice for the creation of Rivers State, adding that he should be honoured by this airport.